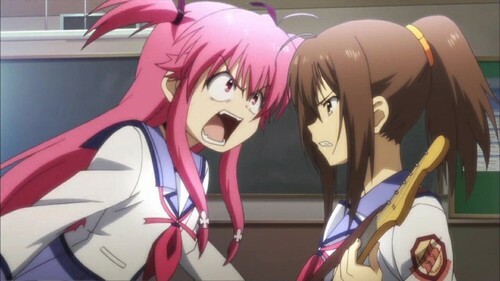 Angry Yui and Hisako. Episode 10: Goodbye Days. HD Wallpaper and background images in the エンジェル Beats! Girls Dead Monster club tagged: anime girls dead monster angel beats yui hisako screencaps. [Angel Beats!] Girls Dead Monster. ~Angel Beats!~ Girls Dead Monster- Casual Style!